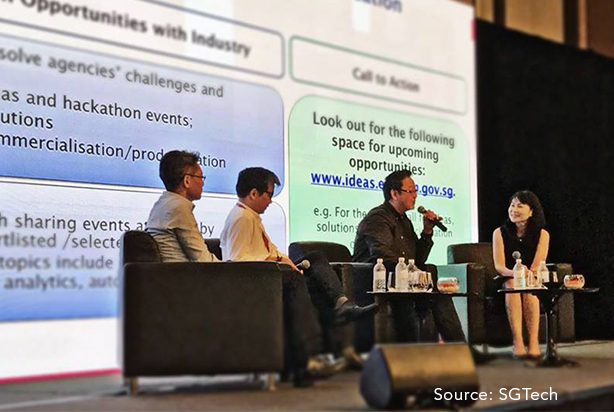 Elixir’s CEO and Chairman of SGTech Smart Nation Chapter, Mr Lau Shih Hor, was a panel speaker at the Annual Smart Nation and Digital Government Industry Briefing organised by GovTech on 7 June 2018. The panel discussion “Partnering the Technology Community to Realise Smart Nation Vision” featured a lively exchange among representatives from SGTech, The Agency for Science, Technology and Research, GovTech and Singapore Computer Society. The Annual Smart Nation and Digital Government Industry Briefing aims to provide information on the various upcoming digital initiatives and ICT business opportunities that Singapore is undertaking.